When I lived in Portland a few years ago, I got in the habit of tuning in the local “Mature Adult Contemporary” station, Sunny 910. The geriatric AM frequency spun “original hits of the ’40s, ’50s and ’60s,” and, though their slogan didn’t mention it, the ’70s too. Mixed in among the easy-listening powerhouses (Sinatra, Como, Mathis) and the stinkers (Reddy, Lightfoot, Newton-John), were a few swell acts that were new to me (Brubeck, Denny, Getz). What’s that all about? After I caught the tune for maybe just the third time in a year, I typed “1900 Yesterday” into a search engine and, sure enough, discovered it to be the title of the song, performed by an outfit called Liz Damon’s Orient Express. The group’s debut single, written by some guy named John Cameron, peaked at #33 on the Billboard charts in February 1971 I found a copy of the single in December 1998 and played it over and over across the following year. While its B-side, “You’re Falling in Love,” wasn’t worth a second listen, the A-side haunted me, fueling my pre-millennium tension (which I’m embarrassed to admit, but the media’s Y2K doomsday hype did have me a little spooked). 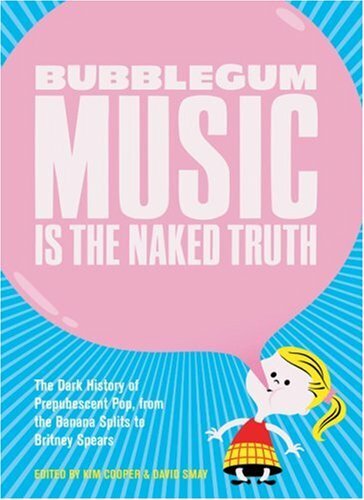 Still, I couldn’t resist repeated listenings, wondering if, way back when, Liz Damon and company were onto something. Namely, was “1900 Yesterday” some kind of premonition about digital clocks unable to recognize 01/01/00 at the stroke of midnight on New Year’s Eve? Would computers really roll back a full century, causing global blackouts, planes dropping from the sky, the accidental launch of nuclear warheads and scores of other catastrophes? More than Prince’s “1999” or that Jennifer Lopez video or any of the other stupid millennium-themed tunes by Sting or Will Smith, I’ll forever associate the turn of the century with this weird song. Of course, the new century arrived, the world didn’t end, and things for the most part were fine. And I set out to find more music by the Orient Express. However, it became quickly apparent that the sublime “1900” isn’t representative of group’s overall sound, which isn’t even half as breathtaking. They had a late-’60s/ early-’70s boy-girl pop-vocal vibe, calling to mind Spanky & Our Gang. The combo’s pleasant, breezy tunes were often punctuated with a lively horns and a bit of the period’s light exotica, à la the Sandpipers or Sergio Mendes and Brasil ’66. Though the band hailed from Hawaii, their music was more suited for a cocktail lounge than a luau. A xylophone added a vaguely tropical air to some cuts, but there were no discernable ukuleles or slack-key guitars. The Orient Express began its performing career with a year-and-a-half-long gig as the house band of the Garden Bar, a lounge at Waikiki’s Hilton Hawaiian Village (the beachfront high-rise hotel with the big rainbow painted on its side). Despite the debut album’s title, which suggests a live disc, ATGB was laid down at Annex Studio in Los Angeles and Commercial Recording in Honolulu. Makaha Records released it, but White Whale soon picked it up and reissued it simply as Liz Damon’s Orient Express. They released the opening track, “1900,” as its lead single. The gatefold sleeve opens to reveal cutouts of the nine group members’ heads, and high praise by the entertainment editor of the Honolulu Star-Bulletin. The back cover features a long shot of the Orient Express in action at the Garden Bar, all in matching costumes. Liz Damon is front and center, flanked by her backup singers/ dancers: to her left is her sister Edda Damon, and on her right is Sydette Sakauye. Behind them is a six-man band; judging from their appearances, the name “Orient Express” apparently referred to their Asian roots. Anthem’s release also had different cover art, replacing the cool line drawings of Liz with an extreme close-up of a pair of airbrushed eyes (presumably hers). The cardboard cover itself had a slightly corrugated texture. Sometime after the release of Tenderness, Sydette Sakauye left the band to pursue a solo career. Meri Pherson, who would later design and sew the group’s outfits, replaced her. The peppy title track of their third album, which was credited to “Liz Damon with the Orient Express,” was written by Bacharach-David. Bobby Goldsboro took the song to #74 in August 1964, and the Pizzicato Five covered it on a 1998 release. LDOE’s version hit #1 in Hawaii; though it was more popular on a local level than “1900,” it failed to chart nationally. Interestingly, the back cover credits the “producer” as an international travel company, Cartan Tours, whose chairman wrote the liner notes. With a group taking the name of a famous railroad and performing songs about faraway lands, Cartan apparently thought the record would inspire listeners to book overseas vacations. This is the band’s most solid long-player. “I asked Edda to record some of her favorite stories and little jokes,” Liz wrote in the liner notes to this, her sister’s debut comedy album. Edda obviously did. Apparently the band cutup, Edda’s side project includes bits called “The Job Interview,” “The Chicken,” “The Airplane,” “First Man on the Sun” and “Kanimotoshita’s Department Store.” I haven’t heard this one, so I can’t say whether it’s actually funny. The entirety of this unedited tape is shot in a single, continuous 45-minute take, panning across the stage and zooming in and out on the Orient Express in full-tilt performance. The front line of Liz, Edda and Meri dance with synchronized, Jazzercise-style moves. Liz, with her enormous fake eyelashes, wears a sparkling orange blouse with matching slacks, while Edda and Meri wear black versions of the same. They all wear high heels. The four-man backup band had only one Asian guy, the guitarist, down from the original six Asians with which they started out. With the bass player, drummer and keyboard player all haoles, they might’ve changed their name to Liz Damon’s Coast Starlight. This live show, which includes lots of banter with the receptive audience, is much more rocking than any of their recorded material (from which they didn’t draw a single song). The set opens with a cover of Toto’s “I’ll Supply the Love,” followed by Paul Simon’s gospel-influenced “Gone at Last” and a medley of Sly and the Family Stone’s “Dance To the Music” and Martha Reeves’ “Dancing in the Street.” Edda, who cracks jokes about men who don’t put down the toilet seat, does some silly number about drinking too much tequila, and the drummer sings Lionel Ritchie’s lame hit “You Are.” After concluding with another medley of songs which I didn’t recognize, Liz introduced the individual band members, then announced they’d be back for late shows at 9:45 and 12:15. Also on the video are a couple interview segments from local Reno news broadcasts. In the first one, Edda the jokester looks like Joan Jett, wearing sunglasses, a torn sweatshirt, leather pants and a spiked wristband (at least I think she was goofing around). The second segment shows live footage of the group performing Dolly Parton’s “9 to 5,” with the singers wearing gold lamé outfits and headbands like John Travolta in Stayin’ Alive. The Orient Express also took their lounge act to Las Vegas-where they played a Jerry Lewis Labor Day Telethon-as well as Lake Tahoe, Atlantic City, Puerto Rico, Canada and Japan. After the group disbanded in the mid-’80s, Edda moved to New Jersey, married, had a couple of kids and currently works as drama coach for children. Meanwhile, Liz lives in Las Vegas with her husband and teenage son. She works at the Westward Ho as casino host and entertainment director, and still sings at private parties and conventions and coffee shops in the area. She plans to return to Hawaii someday. All of the Orient Express’ recordings are long out-of-print, except for “1900 Yesterday,” which is available on a few compilation CDs. Following hits by the Turtles, Lyme & Cybelle and Nino & April, the song closes out the 21-track label anthology Happy Together: The Very Best of White Whale Records (Varèse Sarabande, 1999). Otherwise, the marginal Top-40 hit has long since fallen through the cracks, and the group never charted again. 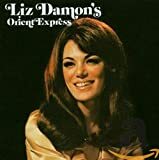 Still, while Liz Damon’s Orient Express goes down in music history as just another one-hit wonder, what a wonderful hit it was. Mahalo to Shelley Hinatsu for her valuable assistance. Wanna read more? 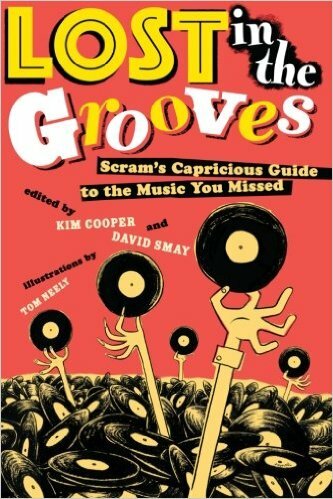 It’s all in Scram #14.